Israeli international centre-forward Tomer Hemed has become Brighton & Hove Albion’s second signing in as many days. The 28-year-old has agreed a three-year deal and has signed for an undisclosed fee from Almeria - the club from where Albion bought Leo Ulloa in January 2013. 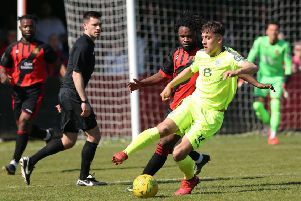 Manager Chris Hughton said: “Tomer is someone I have been aware of for a few years, and someone I watched a lot during my time at Norwich City. Hemed spent three of the last four seasons playing in La Liga with Mallorca and Almeria, scoring 27 goals in 72 starts in the top division during that time. He began his career with Maccabi Haifa in 2004, before a breakthrough campaign in 2010-11 in which he hit 13 goals in 22 starts. He has also scored ten goals for Israel in 15 senior international appearances since 2011; he has also represented his country at every level. In the past five seasons, at both club and international level, Hemed has scored an impressive 52 goals from 121 starts. Defender Liam Rosenior joined Albion on a three-year contract earlier in the week.